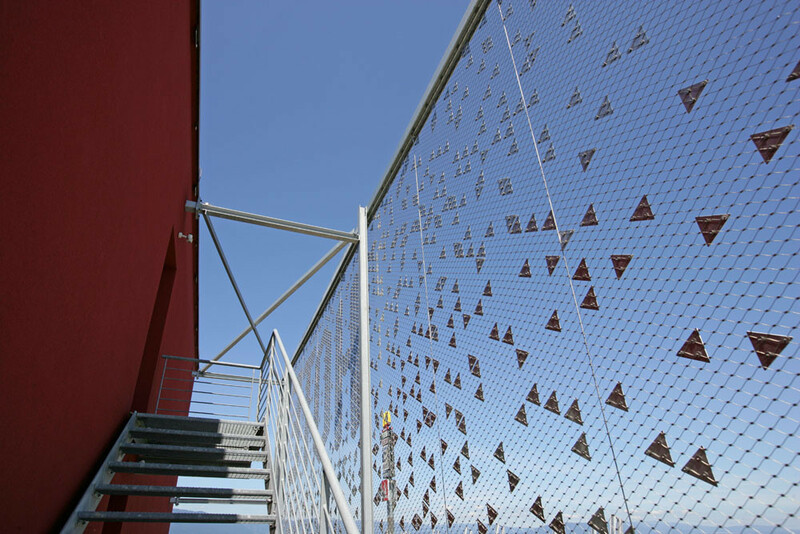 The facade of a building is often what defines its personality and with this project in Switzerland that persona is created with the use of Jakob Webnet mesh. 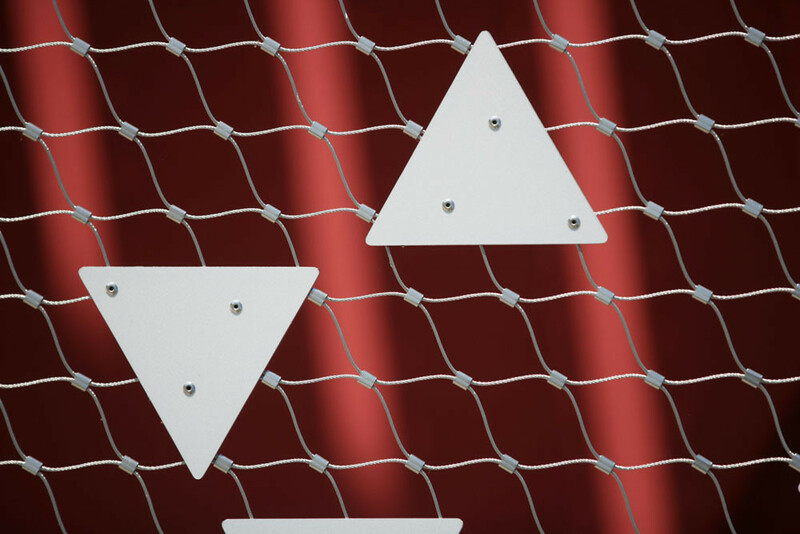 The tensioned stainless steel Webnet screen stands 6.8m high x 18.5m wide with over 2000 aluminum triangles attached. 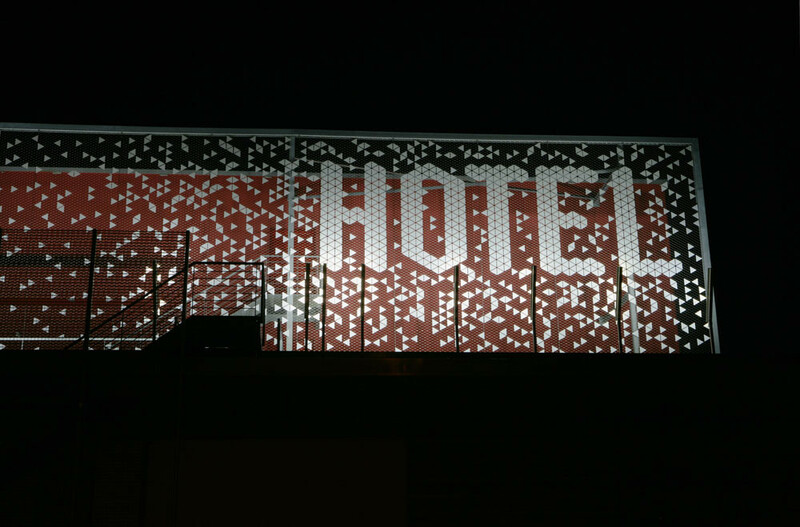 Located right on the motorway the Webnet forms a light-weight semi-transparent billboard. 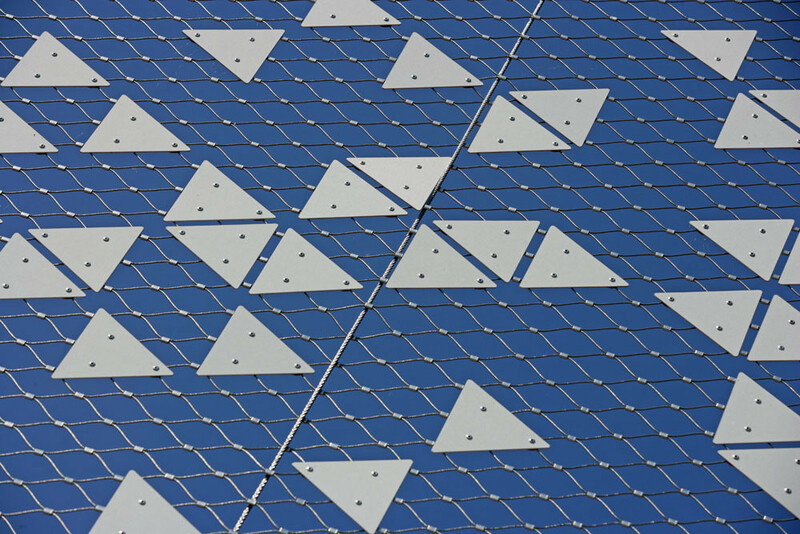 The triangles have been coated with a reflective film so they remain iridescent either at night or day. 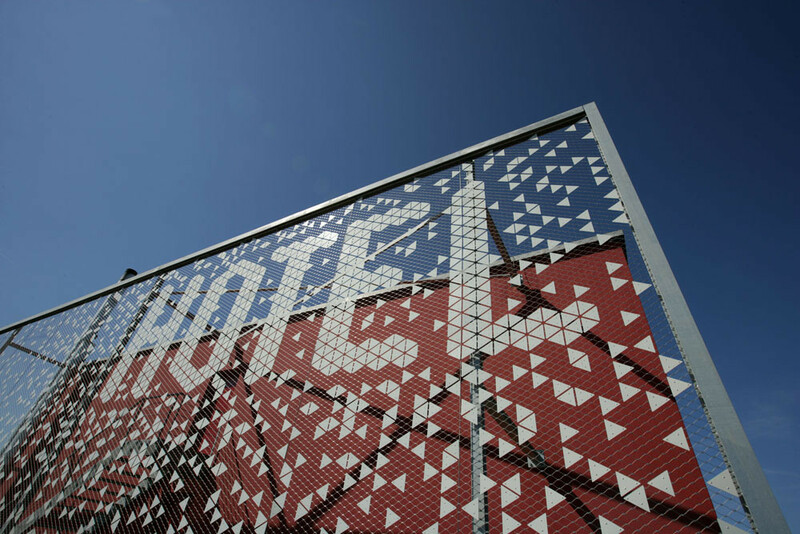 This is a wonderful facade feature that could be utilised in so many ways, from car park facades, factory walls, blank service shafts or corporate branding. The options are endless to customise this with any colour possible for the triangle shapes, or indeed any other type of shape, font or characters. 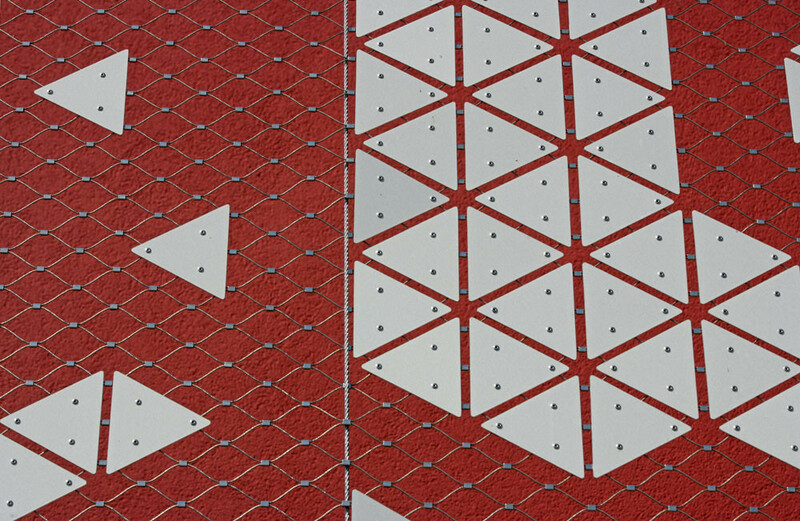 The use of Webnet mesh as the sub-structure means there will be minimal load applied to an existing building, so retro-fitting is most certainly achievable, with an open area of well over 70% this feature would not suffer the same wind forces of a more traditional signage or tensioned banner. Innovation is the key and Tensile Design & Construct are experts at innovation, contact us today to talk further about how to apply this feature to your building.